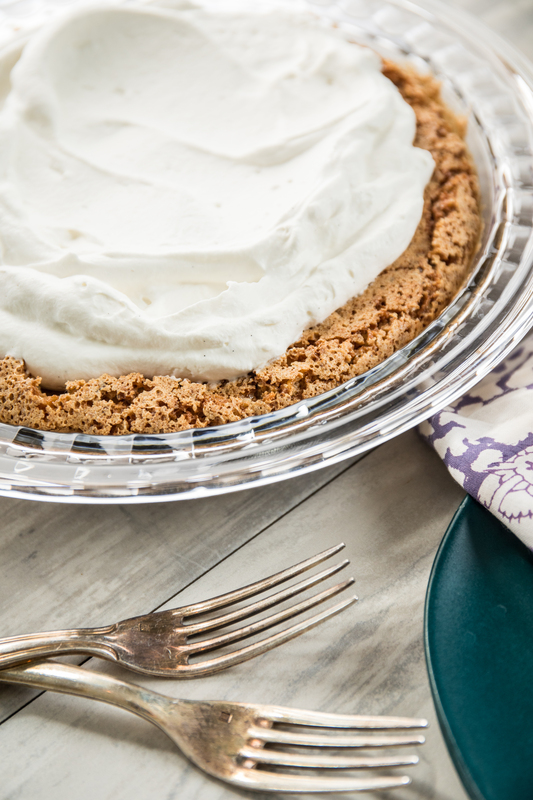 I was cleaning out my kitchen drawer and came across some of my mom’s old recipes, and thought today was perfect day to make the pie she made every holiday! I wasn’t much of a pie lover growing up, I didn’t love the traditional fruit or pumpkin varieties. When we had friends over for dinner my sister and I thought it was just so funny to ask them what the secret ingredient was, and could hardly contain our giggling as we admitted it is Ritz crackers. Beat 3 egg whites till they are stiff. Bake in a pie dish for 20 minutes at 350. Top with whipped cream.